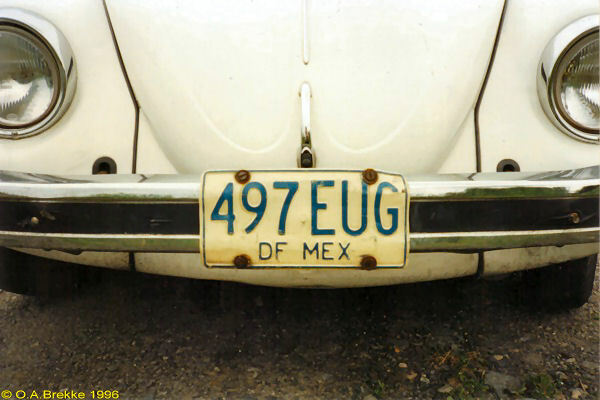 Each state issues new plates approximately every three years. Normal series in Distrito Federal since 1972. 1986-91 plate style. DF = Distrito Federal. Normal series since 1992. 2000 plate style. VER = Veracruz. MEX = Mexico. 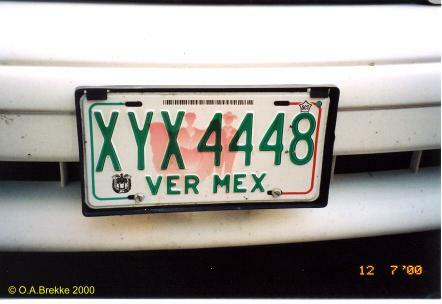 XYA-YVZ = Cars from Veracruz.